Sam Benaroya, MD, FRCPC, is a general internist, on staff at the Royal Victoria Hospital (RVH), MUHC, since 1981, with an interest in medical education and in promoting the field of general internal medicine, he has served at McGill as Residency Program Director in Internal Medicine, and at the Royal College of Physicians and Surgeons of Canada (RCPSC) as Chair of the Specialty Committee in Internal Medicine. 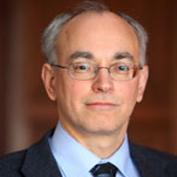 Following a term as associate physician-in-chief at the RVH, in 1998 he was appointed Associate Dean of Interhospital Affairs, Faculty of Medicine, McGill University. In this capacity, he is presently acting as coordinator of McGill RUIS activities, and as spokesperson for the faculty regarding medical manpower issues. In 2007, Dr Benaroya was also appointed Associate Vice Principal, Health Affairs, Faculty of Medicine, McGill University.